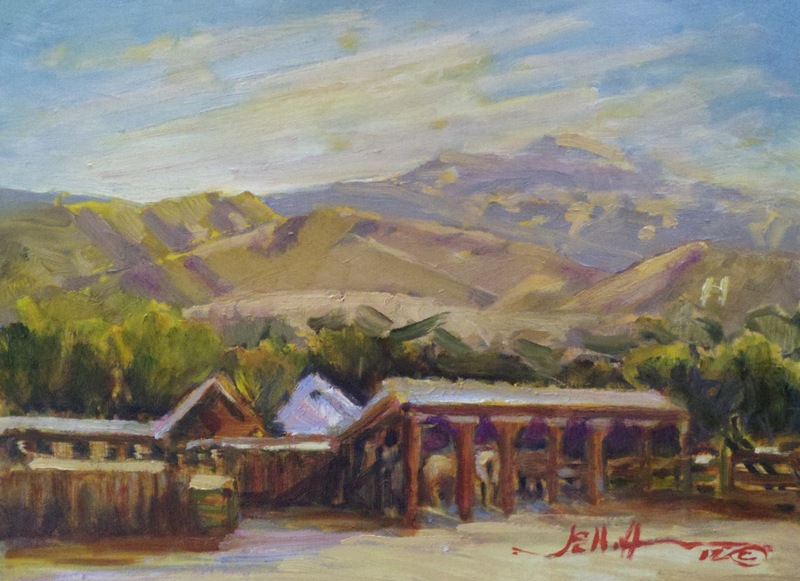 "Fulton Corrals" oil 11"x 14"
I am teaching a workshop with the New Hampshire State Conference on Arts Education, "Painting Connections-Painting Habitats. 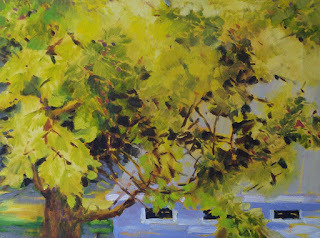 This painting from Hayden Heritage Days is about connections and community. Its not a portrait of any one object. 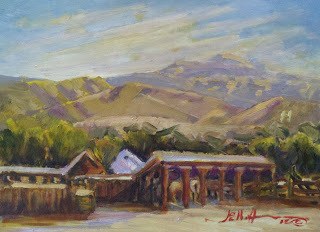 Portrait and Landscape paintings are two approaches that painters use to create what they see: objects or space. 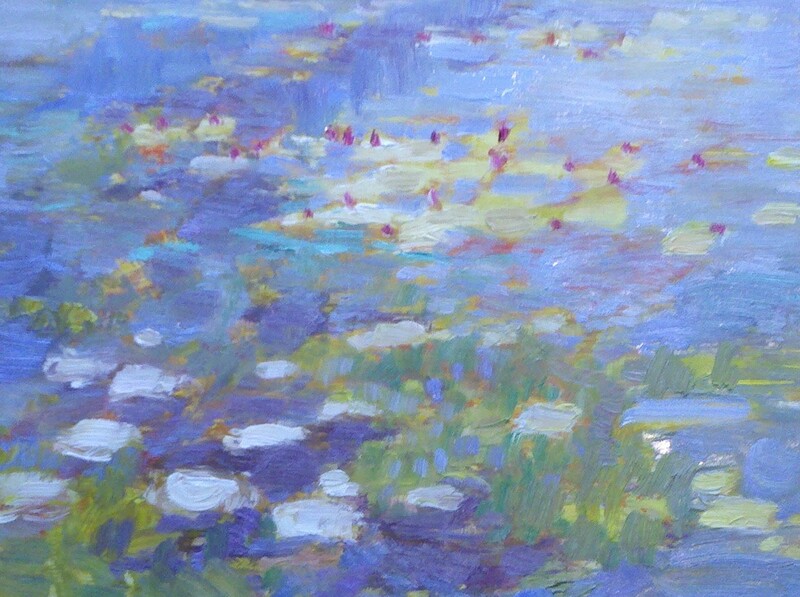 Monet's waterlilies inspired this demo at OLLI and UVM. It was an Osher Life Long Learning Class. 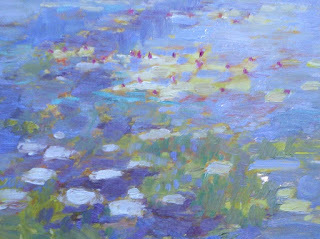 All of us learned from Monet. Join the next Class in Burlington! Here are the summer maple leaves.